For federal grant writers, writing is not just a usual activity. In my case, it’s my job. This is the reason I am hook to it. Contrary to well-known belief, writing is not an easy task. It requires a sound mind, great learning, creativity, research skills, and versatility. I’m not new to grant proposals. In fact, I’ve been in this job for 8 years now. I’ve been here before the onset of global recession in 2009. I can still recall that there were many projects coming in by the time I started working. This is why I go deeper and learn the specifics of grant writing. Of all the grants I did, I find federal proposal a complex thing to do. It has strict requirements and submission process. Add to the fact that the task for involves a toilsome writing task. I have done a lot of them. They are all distinct from each other. That’s why I take every project as a whole new challenge. But with the right approach and skills I was able to defy it. As a writer, I analyze the project so as not to miss out crucial information. Clients’ answers to the questions are not the only vital details. I must take their specifications, too. I need to review and understand the federal guidelines. This could be sections to include, page limit, other technicalities, requirements, and deadline. This is to ensure that the proposal fits to what is required so that application will go smoothly. This is my secret to make a great proposal – I put myself in my client’s shoes. I act as if I’m the one who needs funding. I find it as a good way to express someone else’s thoughts and translate them into writing. I have to justify their projects and further convince the funding source of the need for assistance. Following client’s instructions and funder’s guidelines is the key to make a grant proposal. Moreover, the project’s mission and goal should match with the funder’s to get the nod. Like many write-ups, grant writing involves research. Keep in mind that funder’s are very strict with the way grant seekers should present their ideas. These thoughts must be supported by related studies and facts. Otherwise, they will doubt and reject your request for funds. Communication with the client is a factor to consider. This is one good way to inform client about the development on the draft. This will also give updates concerning the funding agency. Working for Allied Grant Writers (AGW) means more than just an experience. I consider it an honor. AGW has written countless proposals that helped grant seekers succeed in their quest. 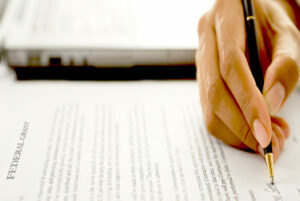 Still, the firm serve more customers by providing well-written grant requests. If you want to pursue your worthwhile deed and bring positive impact to society, then work with AGW. For more information about federal proposal and all of AGW’s services, contact 1 (800) 825-2314.